This workshop will provide an opportunity to learn how to grow shiitake mushrooms in natural oak logs. We will walk you through the process step by step and provide handouts with detailed “how-to” information to take home. The bulk of our time will be spent hands-on doing the inoculation. 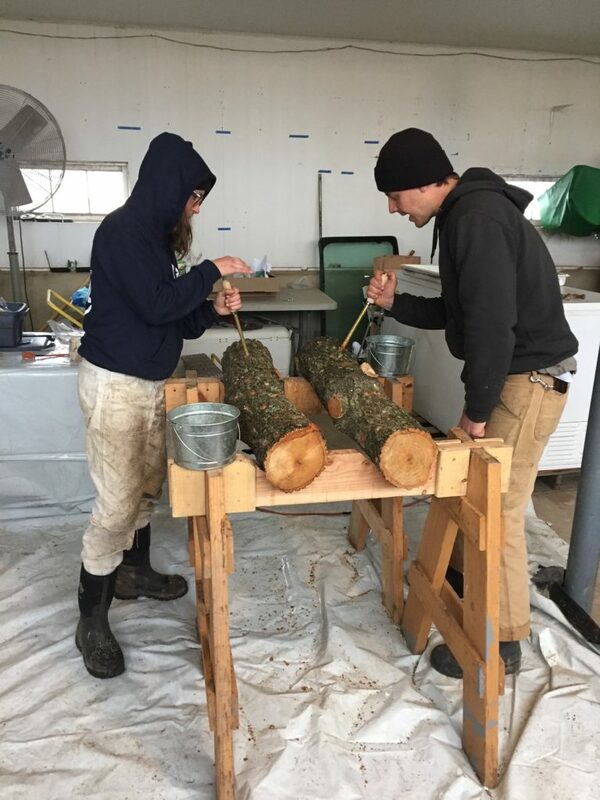 Inoculation is the process of filling the logs with living shiitake mushroom spawn. We produce hundreds of pounds of certified organic shiitake mushrooms each year on over 500 logs on our farm. These delicious and nutritious mushrooms are donated to our soup kitchen partners in Philadelphia and Camden, and sold to local residents each year to support our ongoing charitable work. Many hands make light work and your help will go a long way to ensuring that we will continue to be able to provide these delectable mushrooms to our community for years to come! Spots are limited and registration is required. Email Stephanie@carversvillefarm.org to register for this workshop!